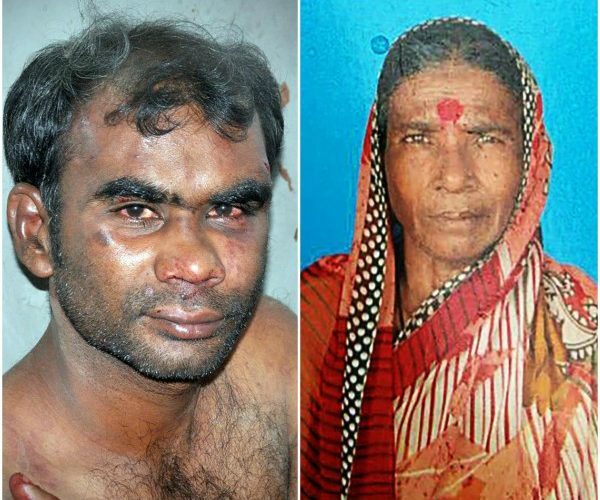 An Indian man has been arrested for allegedly stabbing his mother to death in a fight over money, before cutting out her heart and intestines and eating it ‘with pepper and chutney’. 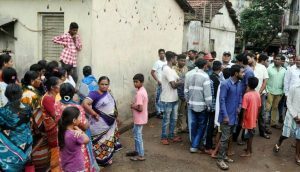 The suspect, Sunil Kuchakurni, 35, committed the sickening attack when he visited his mother Yelava, 65, at her home in Mahawala Vasant, in Kolhapur, Maharashtra to ask her for alcohol money. When she refused to give the money, her drunk, and unemployed son reportedly took a knife from the kitchen and stabbed her to death. Local police say he then cut out her intestines and her heart and ate it after seasoning it with chutney. Neighbours reportedly spotted him walking out of the house with blood dripping from his hands at approximately an hour after they heard screams and informed the police. 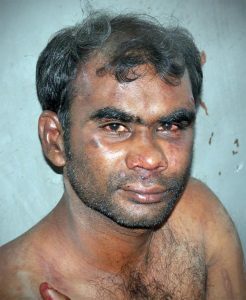 Sunil was arrested under section 302 (Punishment for Murder) of the Indian Penal Code later that day. “He was unemployed and surviving on his mother’s pension. He’s an alcoholic and often stole money from his mother. “His wife and three children moved to Mumbai. 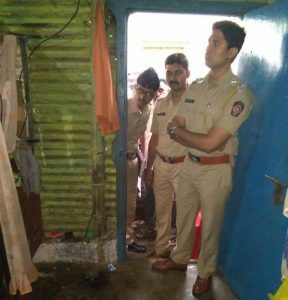 Senior Inspector More added that he is now in police custody while the investigation is ongoing. Blood samples are being tested to confirm if he ate parts of his mother’s body in a fit of rage. 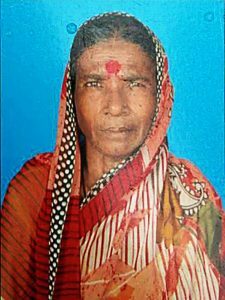 “Some parts of her stomach and her heart were extracted and found next to the body along with pepper and chutney when we reached the scene of the crime.